The summit of the League of Arab States underscored the split in the Middle East on key positions. Lebanon, Iraq and Algeria condemned the attacks of the United States on Syrian territory, Saudi Arabia and Qatar - supported. The position of Israel should be considered especially closely. It is important to understand the initial positions of each player in the Syrian crisis. If we talk about the monarchies of the Persian Gulf, they were originally set up to destroy the existing authorities. When the sharp crisis in Syria began, Saudi Arabia and a number of other countries in the Persian Gulf took it as the beginning of exactly the same process of liquidation of the regime as it was in Iraq and Libya. They relatively quickly moved away from the support of the legitimate authorities led by President Assad and began to look for alternative forces that were torn to power. They began to provide these forces with the appropriate support - financial, economic, logistical - and even supplied them with weapons. However, after the intervention of Russia and Iran in the conflict, a turning point occurred, as a result of which forces that received support from the monarchies were almost completely destroyed. This led to a certain "sobering" of Saudi Arabia and its allies. Now that the stage of the civil war is actually over the victory of President Assad, the positions of those who favor a revision of positions on the Syrian settlement are strong in these countries. It is obvious that now in the Arab world there is a certain stratification. The influence of America on the countries of the Persian Gulf persists. You need to look at it calmly. There were no fixed demands for the overthrow of the Syrian regime, the resignation of Bashar Assad. So this is already some definite step in comparison with what they said before. Like other countries like Lebanon and Algeria, they are trying to pursue a more balanced policy and, as has been said, condemned the attacks on Syria. Another major player, Egypt, maneuvers between opposites: "Egypt, which understands the importance of its relations with Saudi Arabia, with the countries of the Persian Gulf, is forced to maneuver, while Lebanon and Algeria are countries that are connected with the so-called patriotic wing of the Arab world. that now they take such a tough stance, obviously, Lebanon is heavily influenced by Hezbollah and Tehran, so the anti-Iranian rhetoric does not pass there.Liban officially as the state stands for the normalization of relations with Syria and not up to lets some kind of aggravation of these relations. The greatest concern is the position of Israel, which, with the coming to power of Donald Trump, decided that it is able to use his influence in the White House to achieve military goals in the region. The main opponent of Tel Aviv at the moment is Tehran. However, experts believe that Israel is not yet ready to go to a direct clash. Israel is trying to act on this issue not with its own hands, but is pushing for this adventure of US President Donald Trump. In fact, the last blow in Syria was inflicted with the active support of this idea by Netanyahu, who literally demanded Trump start military operations, although on the eve of the missile attack Trump stated that he was going to withdraw troops. 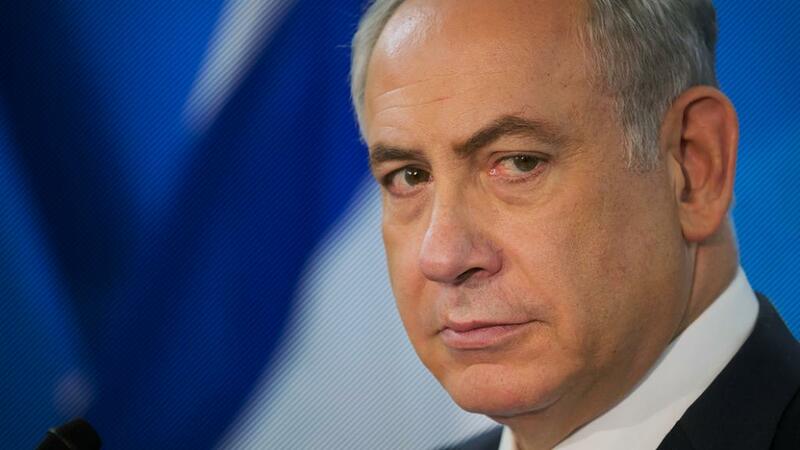 But after talking with Netanyahu, he changed his orientation, and the idea of striking arose. And, as the media say, Trump insisted on the harshest option, that is, on the Israeli position. " It was only Minister of Defense Mattis who was able to cool the heat of the embarrassed Israeli lobby of Trump. But, obviously, Israel will not abandon its attempts to draw the US into a full-scale conflict in the Middle East. And Syria with Iran, as well as the Russian military - is an ideal goal for this.